Porsche has revealed a new prototype, but this time it isn’t teasing spy photos of the forthcoming Taycan electric car. 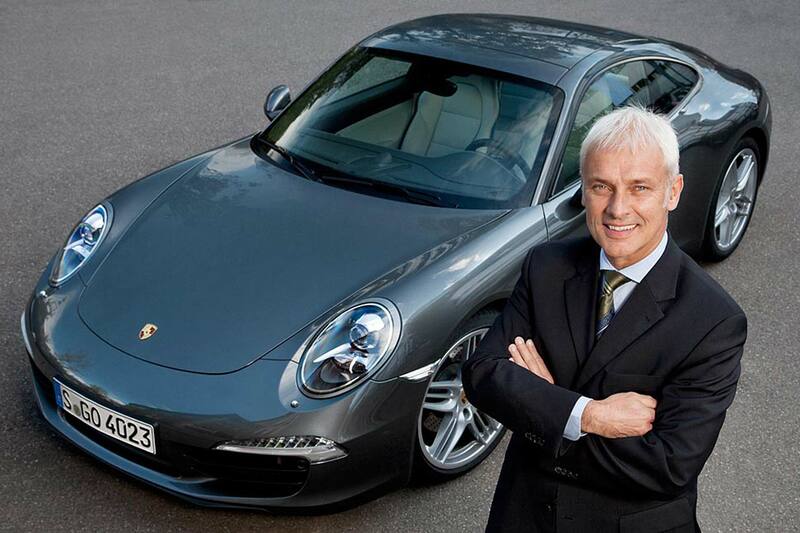 Instead, the German manufacturer has held a grand opening for its new dealership in Palm Springs, California. 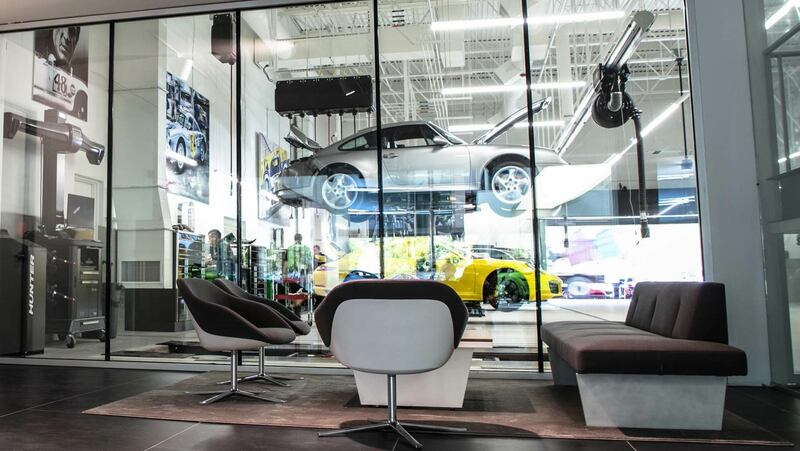 It matters because the design sets the scene for how Porsche may want future dealerships to look. It also moves beyond simply selling cars, towards the idea of bringing enthusiasts together to pay homage to everything Porsche. 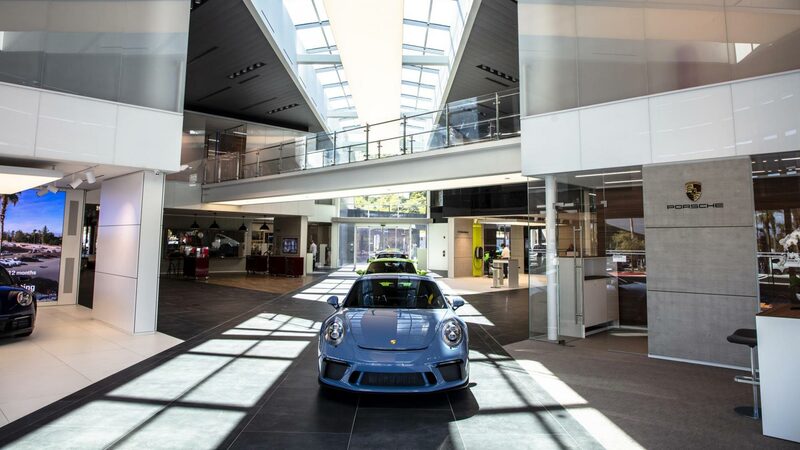 For some, Porsche ownership is already almost akin to a religion, so it maybe shouldn’t be too much of a surprise that the new Palm Springs dealership almost resembles a cathedral. The giant windows, the elevated roof, and the dramatic illuminated frontage all aim to pull in the faithful. 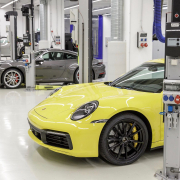 California is the leading market in the United States for Porsche purchasing, meaning the choice of Palm Springs was a natural one to test the reaction. Two more dealerships will follow, with Dortmund, Germany and Hangzhou, China further refining the approach seen here. 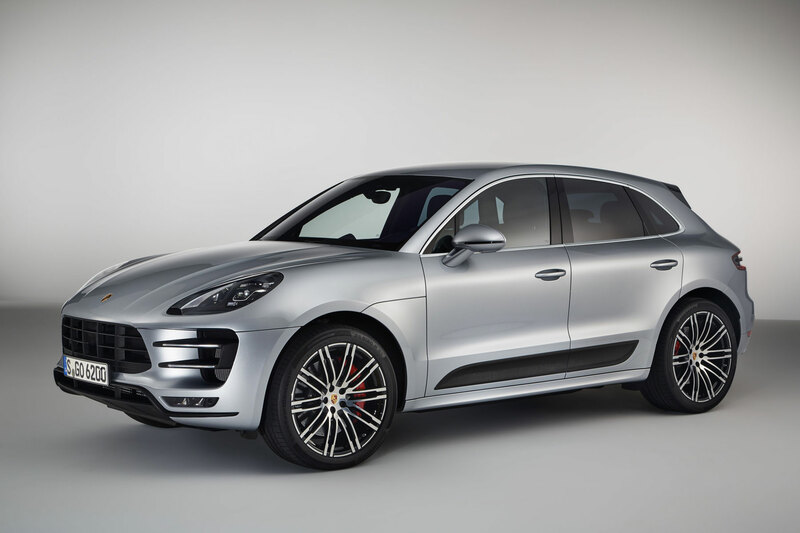 Taking into account the range of cars Porsche now sells, along with the fervent interest in the brand’s back catalogue, Porsche Palm Springs attempts to incorporate everything under one glass roof. 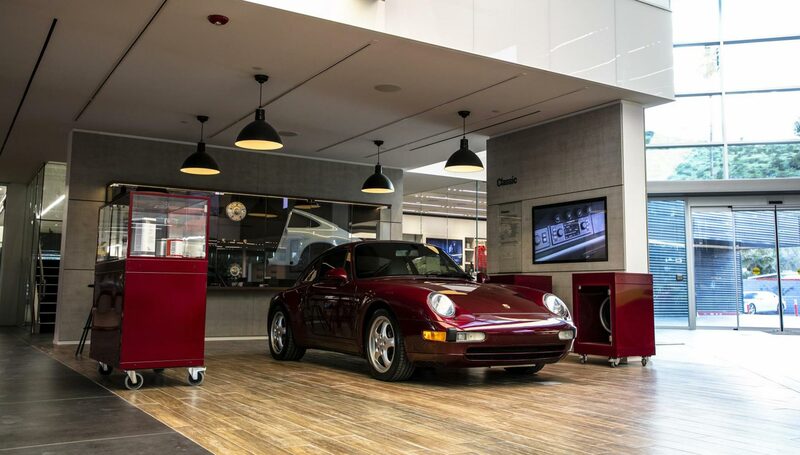 Alongside new and pre-owned cars is an area dedicated to classic models, while the dealership also features a ‘Porscheplatz’ meeting space, aimed at groups of enthusiasts. A total of 13 media screens are packed into the building, with two of them measuring an impressive 16×9-feet in size. Touchscreens will also form part of the configuration process, with a dedicated ‘Fitting Lounge’ to help buyers choose paint and interior options. 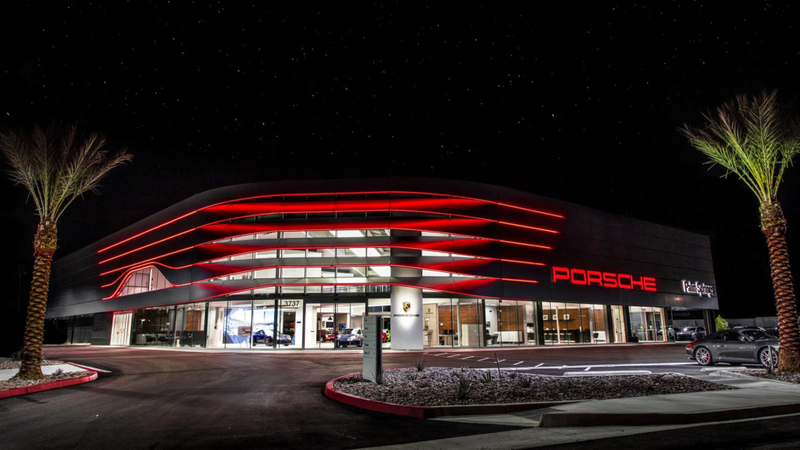 All the work put into the new Palm Springs dealership is set to build on Porsche’s latest success. The company has won first place in the 2019 JD Power Customer Satisfaction Index, improving on the second place it achieved in 2018. Measuring the experience of customers with vehicles aged between one and three years old, the survey includes elements such as service quality, facilities and vehicle pick-up. 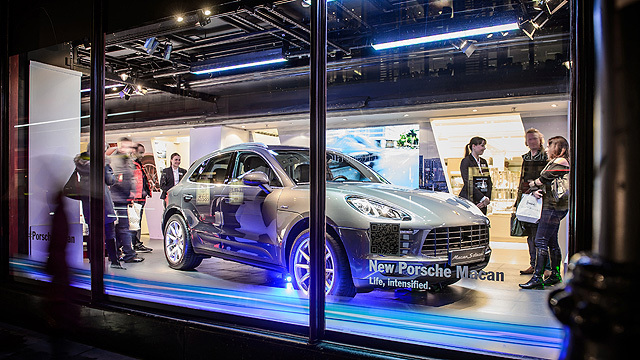 New dealerships will be just one of the strategies Porsche employs to connect with customers. The brand also has plans on more pop-up stores, along with ‘Porsche Studios’ created within urban locations.